Every year, thousands of people are attacked and bitten by animals. The majority of attacks occur by dogs. These cases often entail moderate to severe injuries and sometimes are fatal. In many cases, those people who are bitten by an animal have a legal right to seek compensation for damages from the animal’s owner or other responsible party. If you’ve been bitten by an animal, the first thing to do is to seek medical attention. It’s possible for an infection to develop and for the animal to have transmitted a disease. The next step is to contact a personal injury lawyer to determine whether or not you have a legal claim for damages. California has a “strict liability” law regarding animal dog bite cases. Under this law, animal owners are legally liable for an animal bite. Under this theory, it doesn’t matter if the owner knew the animal was dangerous or whether they took precautions to protect the public; the owner is still responsible. In other states, the owner can be responsible if they know the animal had dangerous propensities. This means the owner knew that the animal could cause injury to a person. It can be difficult to prove “dangerous propensities.” Often, it is determined by the breed. For example, a pet owner with a pit bull indicates that this animal could pose a danger to people due to the nature of the breed. Still, there can be possible defenses in dog bite cases. If the injured party contributed to the incident, that’s a possible defense. It’s known as “contributory negligence.” For example, if an owner had a sign “Beware of Dog,” the owner may not be held liable. Another example is if someone climbed a fence to enter a yard and was bitten by an animal. Pet owners can even argue that the person provoked the pet. Under contributory negligence, the injured party failed to exercise care for their own safety. 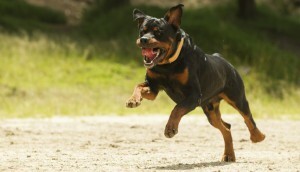 Who is Liable in a Dog Bite Attack? It’s important to note that animal owners aren’t the only parties who may be help responsible for animal bites. Anyone responsible for the care and custody of an animal may be liable. This includes kennels, pounds and animal shelters. Even if someone is under 18 years of age and owns a pet, the parents of that minor can be held liable for an animal bite. Property owners who allow animals on their property may also be held liable if that animal bites another person. If a landlord knew that a tenant had a dangerous animal, he or she may be responsible for damages if that animal bites someone. Depending on the injuries, bite victims may recover damages for medical expenses, pain and suffering, lost wages and property damage. In some cases, bite victims may be entitled to punitive damages. Typically, punitive damages are intended to punish the wrongdoer behavior. It goes beyond negligence, such as intentional or reckless conduct. For example, if an animal owner knew the animal was very dangerous yet allowed the animal to roam near a school and a child got bit, a jury may award punitive damages. 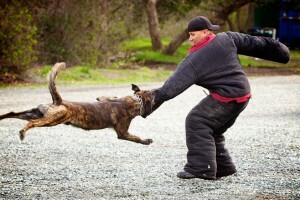 If you or a loved one has been bitten by an animal or dog bite attack, it’s best to contact a personal injury attorney. A personal injury attorney will let you know what your legal rights are and help ensure that you receive fair compensation. Interpreting and understanding your state’s law regarding animal bites can be complicated. A personal injury law firm can help you navigate the process. 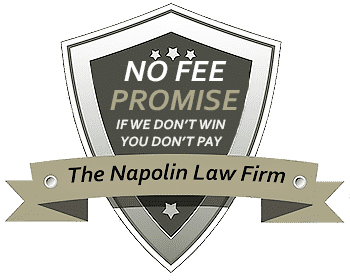 Turn for legal help from the Napolin Law Firm. We’re experienced in dog bite attack cases and will aggressively represent you.